It's about time for it to start warming up! My friends and I are preparing for a road trip and need to make sure we have the right tools to take with us. Portable speaker. Check. Sunscreen. Check. Digital camera. Check. Cell phone/MP 3/GPS car holder. Now, it's a check! 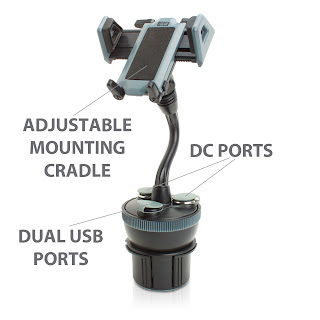 Thanks to USA Gear Power Cup Mount, there is no need to look down by your gears every few minutes to either skip or rewind a song or look at directions. 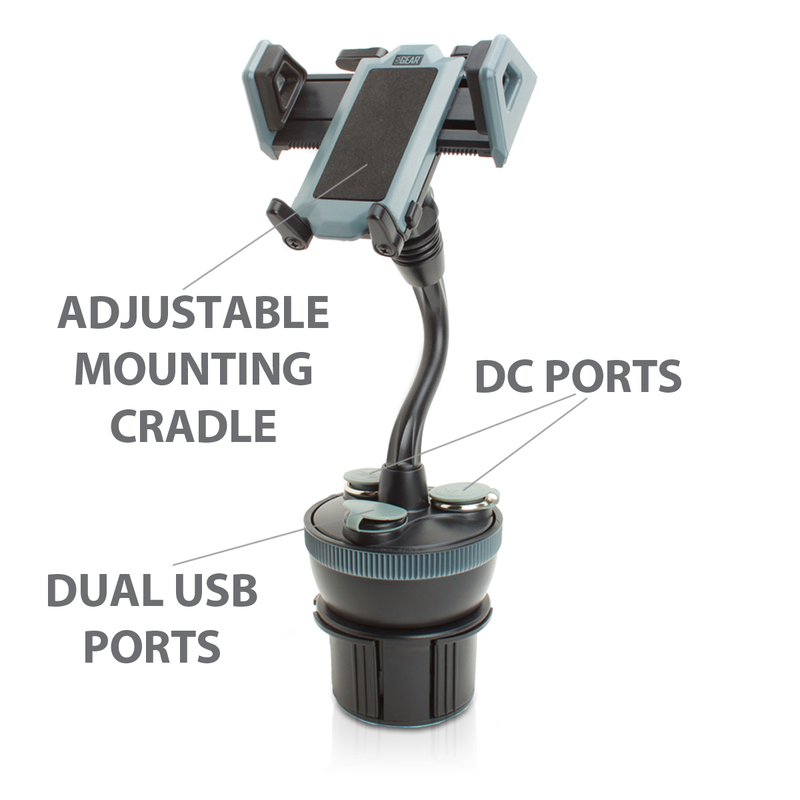 The Power Cup Mount keeps your device close to you, which makes for a safer driving experience! It has adjustable wings that are designed to fit any smartphone, MP3 player or GPS. Let's say you are on a roadtrip and the front seat passenger is the navigator. The Power Cup Mount has a 360-degree rotation and tilt, so your friend can tell you the directions without having to take it off the base. If he or she falls asleep, move it back to your view, so you can know where you are going! It can be used in portrait or landscape layout. There are four - as in 1, 2, 3, 4 - additional power ports (2 DCs and 2 USBs), so you won't have to worry about this device taking up the only DC outlet in your car. Now everyone can charge their tablet, cell phone, handheld game console or MP3 players at the same time! And for this week, it's 50% off! Perfect! Now I think we're set to go! The only thing we have to worry about is should we sleep in the scary motel on the right side of the highway or the left. But, hey, as long as we've got our Power Cup Mount, we should be good to go, right????? I'll let you know next week! Want to be in the know about great deals like this? Sign up for our Weekly Newsletter and you'll be the first to know about new products, special discounts, exclusive promotions and more!